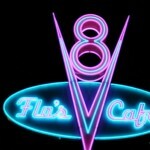 While visiting Cars Land at Disney California Adventure, fuel up at Flo’s V8 Cafe. 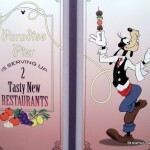 It’s one of our favorite spots for atmosphere dining in Disneyland Resort. 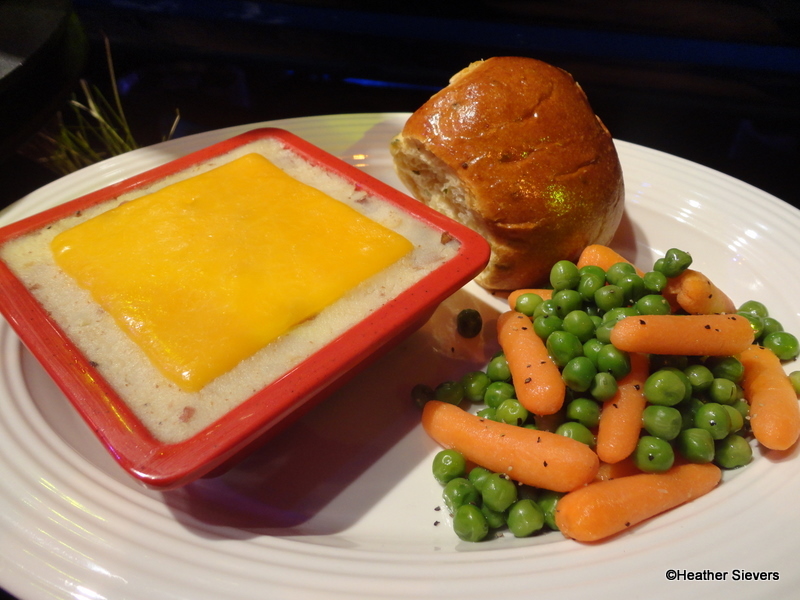 Popular dishes in the past have included the Veggie Tater Bake, Rotisserie Chicken, and Homemade Pies. 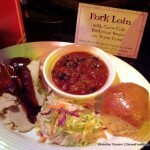 Now, new dishes have joined the race for first place! 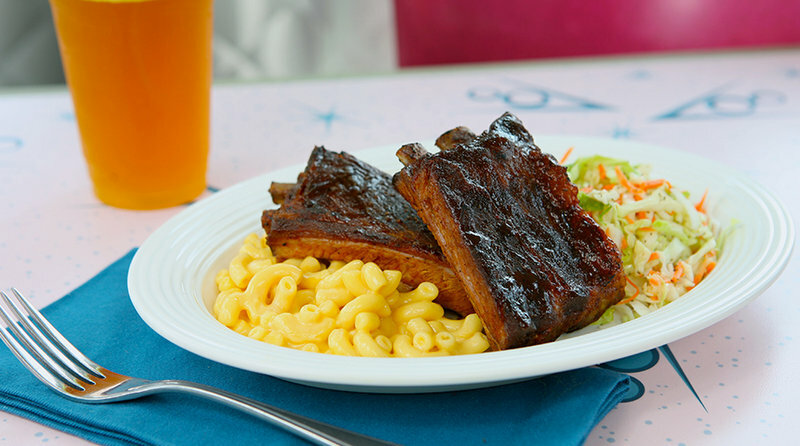 Replacing the pork loin, Flo’s has introduced barbecued pork ribs, with house-made Coca-Cola barbecue sauce served with creamy mashed potatoes (or a side of mac and cheese) and a side of crisp slaw. 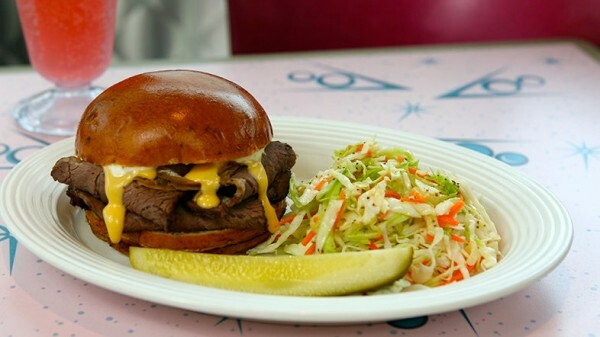 Also in the running — a shaved roast beef and cheddar sandwich on a garlic-chive bun topped with sweet, caramelized onions, and kicky horseradish aioli with a side of slaw. 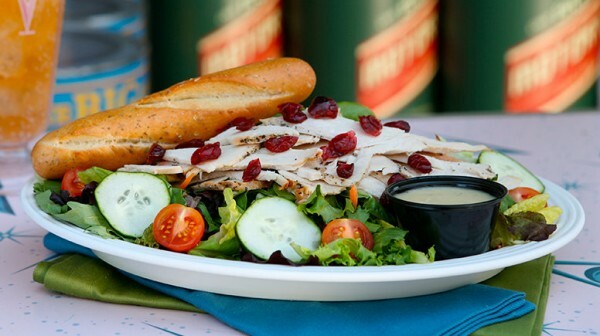 Or perhaps you’d like to try the turkey dip on a potato grinder roll. 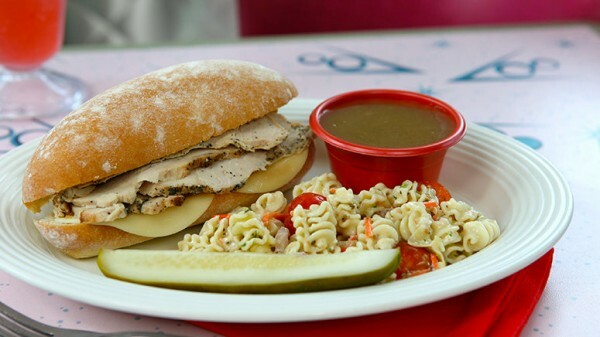 It’s served with provolone cheese and turkey au jus for dipping, plus a side of pasta salad. 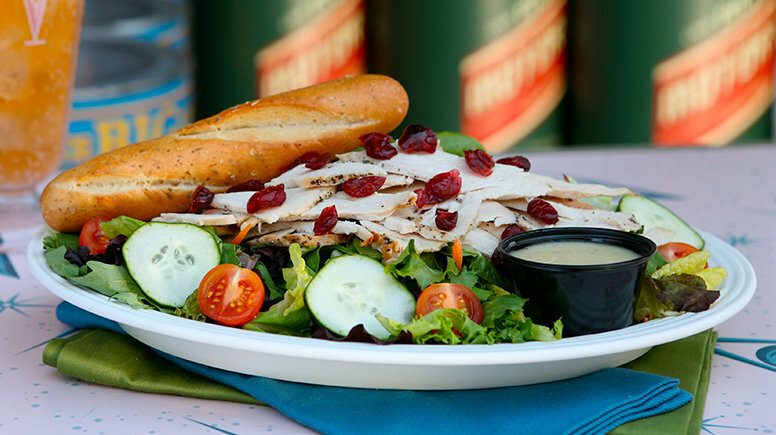 The Citrus Turkey Salad is now made with lettuce, cherry tomatoes, cucumbers and Craisins accompanied by a citrus-tarragon dressing. 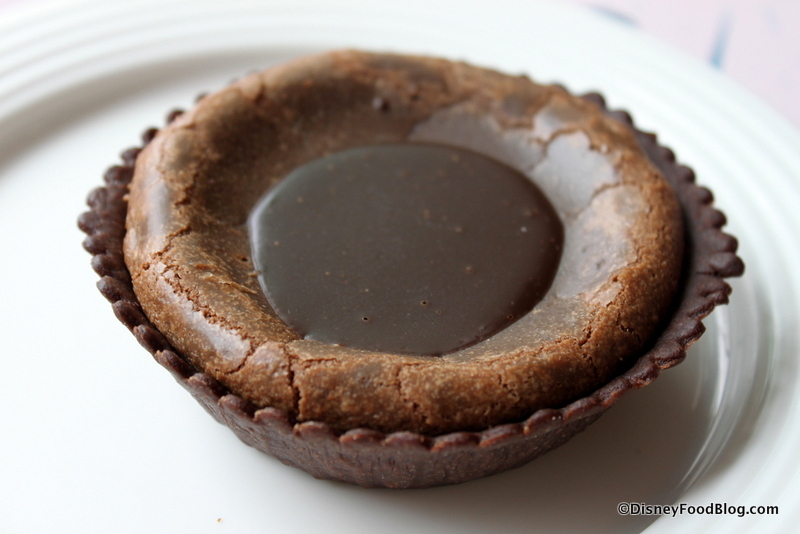 It’s always a memorable finish with a delicious pie for dessert. Now, coconut cream joins other favorites — like chocolate mud pie and strawberry-rhubarb. Now on tap, Grand Am Beer. 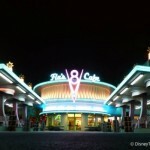 It revs up the bar along with Racer 5 Pale Ale IPA. Side dish substitutions are allowed, although chips are no longer on the menu. 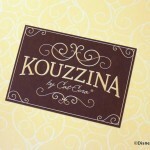 What do you think of the new menu choices? Let us know in the comments below!